Are you interested in Mediterranean cooking? Would you like a comprehensive Mediterranean cookbook that covers food from every country in the region? 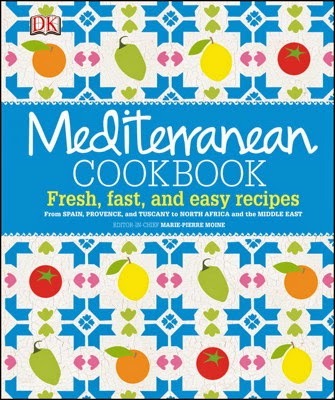 If so, then this cookbook, Mediterranean Cookbook, is the one for you. This is a massive collection of recipes: over 300 pages of recipes from the Middle East, North Africa, Morocco, Portugal, Spain, France, Italy, Sicily, Greece, and Turkey. Within each chapter is recipes from the featured country. The name of the country of origin is included under the title of the recipe. In addition to the recipes, each chapter features a detailed pictorial on an ingredient that is common to the recipes in that section of the book such as olives, peppers, herbs, garlic, yogurt, vegetables, cheese, fruits, and honey. You'll also be transported to each country and given a background on the food culture and a sample menu of that specific country. While some of the recipes have exotic names such as Shakshouka, a Middle Eastern egg dish, and Zahlouk, a North African eggplant dip, the ingredients are fairly common and easy to acquire. This cookbook may introduce you to ingredients that are unfamiliar to you or it may inspire you to use ingredients in combinations that you could never imagine. This cookbook is more of a textbook of Mediterranean cooking. It is filled with gorgeous photographs of the recipes, ingredients, and scenic views of the Mediterranean. Summer is the perfect time to indulge in a cookbook such as this while fruits and vegetables are in season and readily available. Bring a little of the Mediterranean into your home. 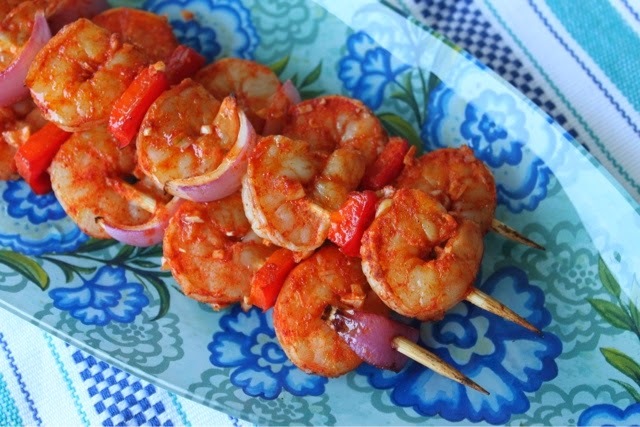 These kabobs get their exciting red color from a mixture of cumin and paprika. The marinade for these shrimp consisted of lemon juice, crushed garlic, cumin, and Spanish paprika (pimenton), and sea salt ~ all ingredients that I already had on hand. Go to meal is steak and baked potato. It's just Mark and me and he loves beef!